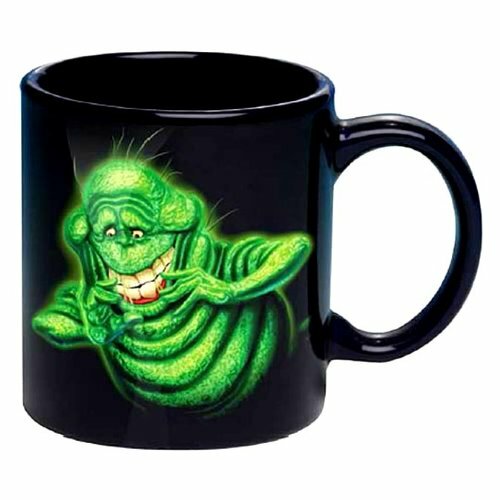 With all the recent chat on my Twitter feed about the remake of Ghostbusters being released next year, I thought it was about time I made a list of original Ghostbusters gift ideas. I love the original movie although I haven’t seen it recently – another to add to my growing list of ‘must watch again’ movies! 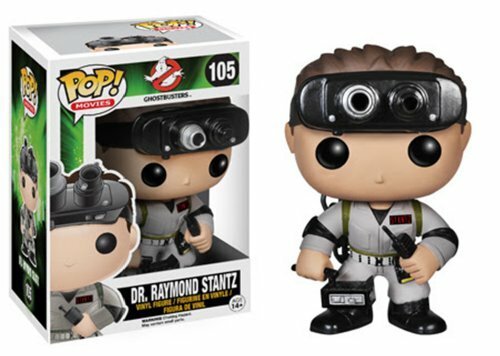 The inspiration for this post came when I stumbled over one of the Funko Pops below. 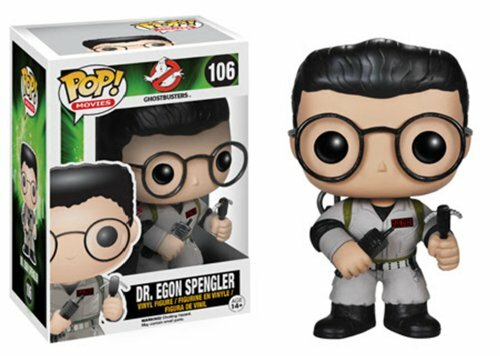 The three main characters from the first movie each have their own Funko doll although my favorite is Egon. 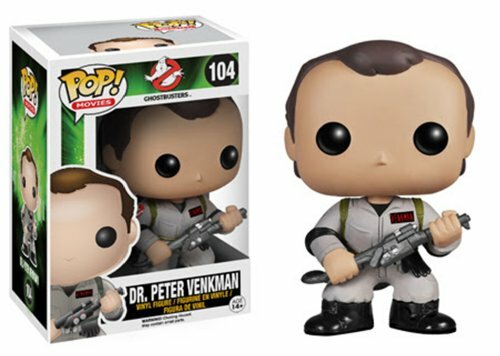 I can easily see Bill Murray in the Dr Venkman Funko though. 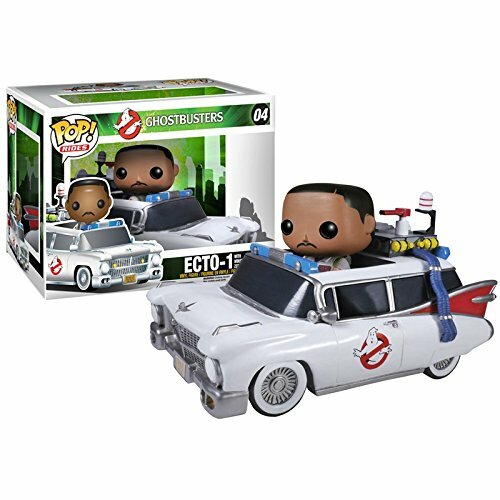 Zeddmore is also available with the Ecto 1 vehicle but sadly, doesn’t have his own Funko. 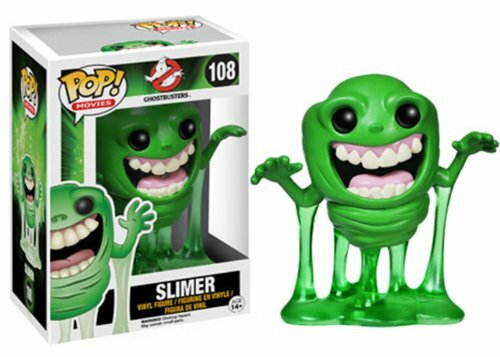 The Slimer Funko is super cute at just 3.75 inches tall but my favorite is the Stay Puft Funko – it’s oversized at 6 inches tall which is just as it should be if they stay true to the movie! 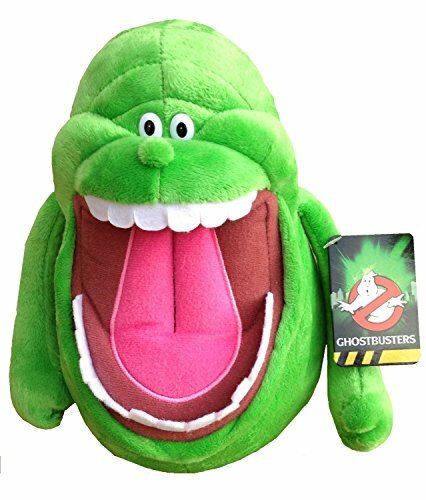 The Stay Puft pillow pet and the Slimer plushie are both great gifts for kids and grown ups alike. 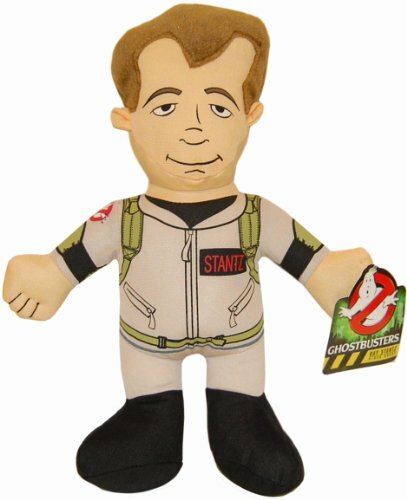 The Raymond Stantz plush is made from a different fabric than most plushies but if you have a fan of Ghostbusters to buy for, they probably wouldn’t care if he isn’t furry! 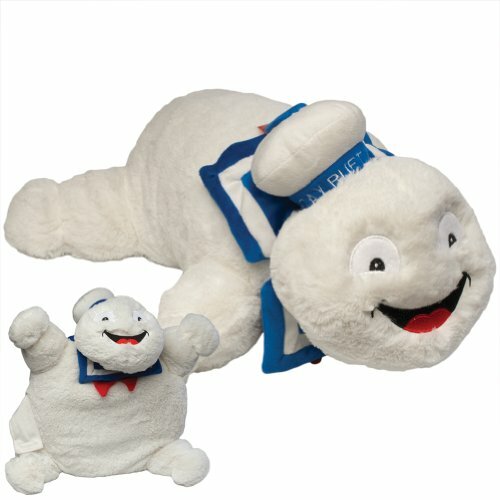 There’s a full set of the Ghostbusters character plushies available too. 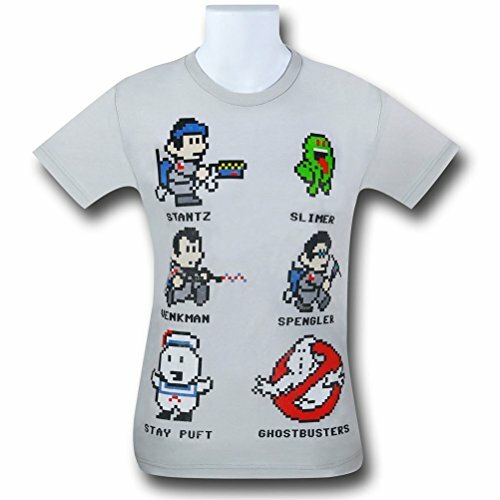 I love these Ghostbusters t-shirts especially the retro 8 bit character design. 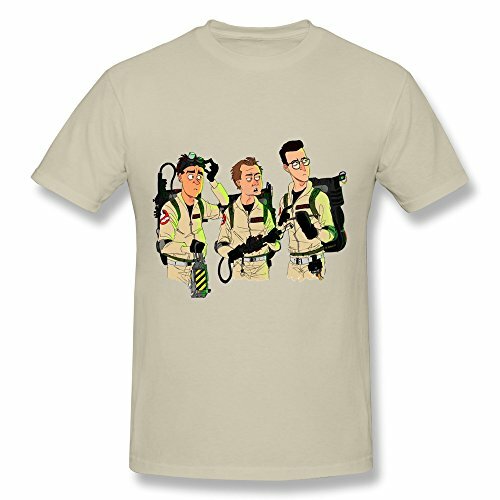 The cartoon Ghostbusters graphic design t-shirt is available in multiple colors but I think it looks best on the natural color shirt. 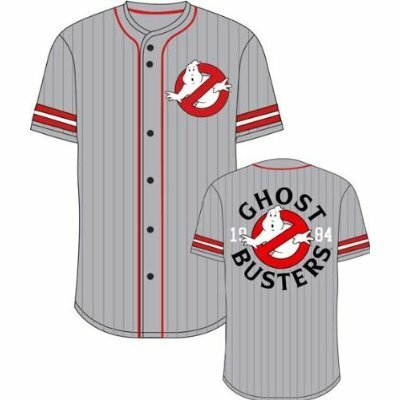 If you have a baseball fan who also loves the Ghostbusters then this Ghostbusters baseball jersey would be a perfect gift. 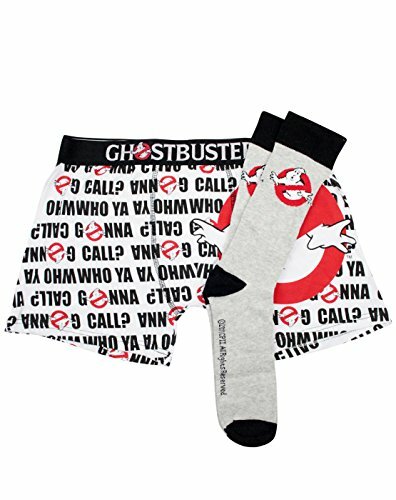 For the Ghostbusters fan who doesn’t want to shout his likes to the world then the boxer shorts and socks gift set would probably be a better gift! 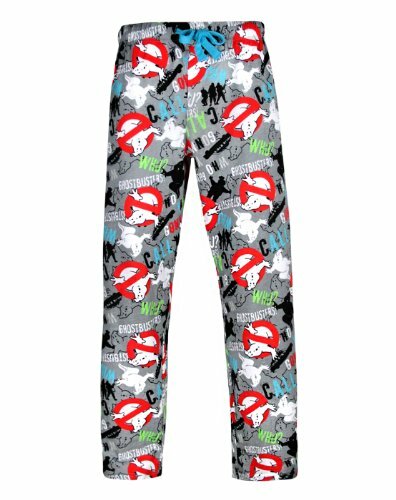 My favorite is the loungepants design though – I do like loud and fun but comfortable pants to hang around the house in. There was a limited selection of coffee mugs to show you but these three designs caught my eye. 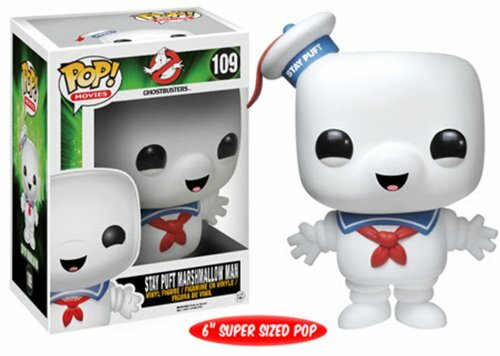 The bright green Slimer design really stands out well on the black background and the Stay Puft man does too. 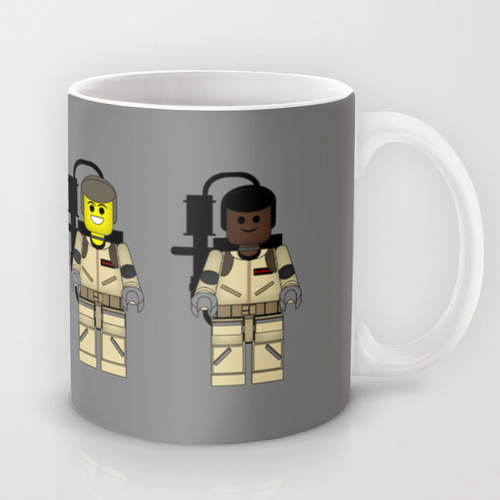 My favorite is the Ghostbusters Lego style design though, especially as it features all four of the main characters. Zeddmore often gets left out as he joined the team later in the movie but he’s just as popular as the first three characters. 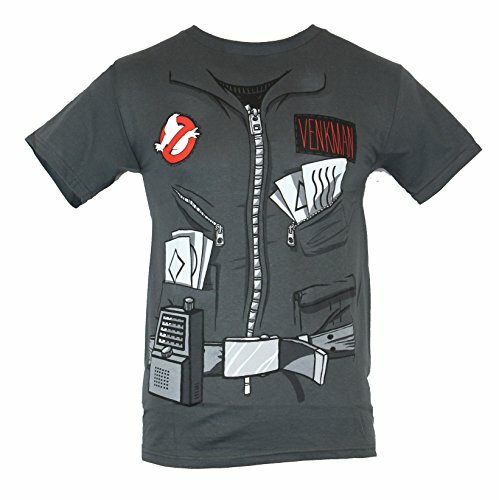 Lastly, we have a slightly mixed selection of gift ideas for Ghostbuster fans. I’d say these would make great gifts for kids but then I’m reminded that kids come in all sizes and ages too! 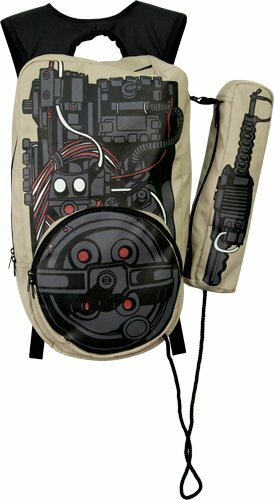 The Proton Pack backpack features one of the pieces of equipment the guys wear on their backs in the movie but don’t cross the streams with your friends, you never know what might happen! 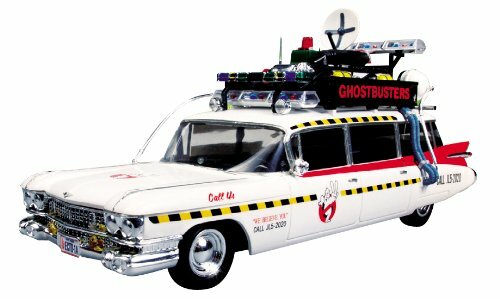 The Ecto 1 scale model kit would be a great parent/child gift for them to work on together. I never got along with the tiny pieces and didn’t have the patience for model kits when I was a kid but my nephew loved them. I’m looking forward to the remake of Ghostbusters – more to see how the graphic effects have improved than to see a great movie remade though. 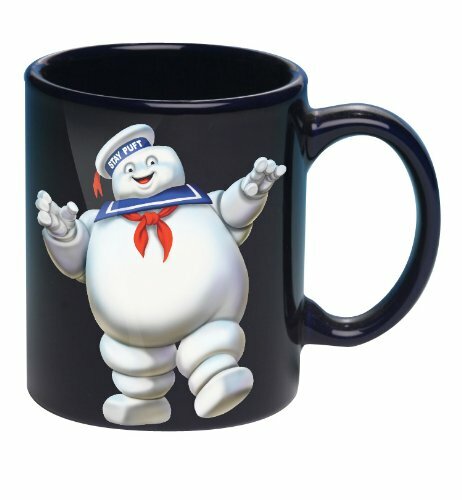 I hope you’ve enjoyed this little trip down memory lane and don’t forget to pass your love of Ghostbusters on to your kids too! Feel free to leave a comment below if you’d like some help finding gift ideas for a gamer or geek in your life. You can also leave a message in our Gifts for Gamers subreddit or contact us on Twitter @giftsgamersgeek if you prefer.